(Manila, Philippines) The biggest and most challenging triathlon race in the country is back this August in its host location, Lapu-Lapu City in Cebu. 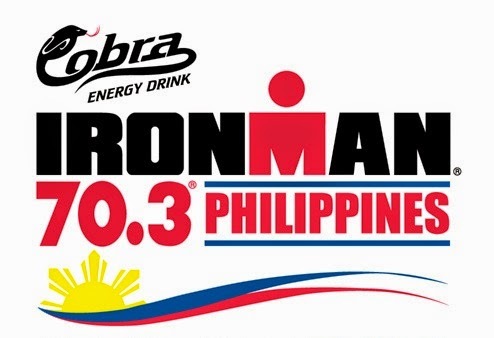 The Cobra Ironman 70.3 is the highly anticipated premiere-sporting event in the Philippines since 2009. Comprising a strenuous distance of 1.9K swim, 90K bike, and 21K run (totalling 70.3 miles), athletes from all over the word is set to land in the Queen City of South this August 3 to face their toughest test of endurance. To power start the athletes’ road to Cobra Ironman 70.3 in Cebu, Cobra Energy Drink, together with Sunrise Events, Inc., will hold the first ever Send-Off Expo on July 11-13 at The Rockwell Tent. Open to Cobra Ironman 70.3 athletes and all thriving athletes, the 3-day Send-Off Expo will conduct race-preparation talks and hold exhibit booths from Timex, Rudy Project, Oakley, Asics and many more for swim, bike or run gear at discounted prices. The three-day Send-Off Expo is open from 10am to 8pm daily. The preparation talks will be on Day 2, starting with Swim Talk: “Don’t Just Survive The Swim.Enjoy It!” by Coach Jenny Guerrero; Bike Talk: “55 Tips to Conquer 55 Miles” by Coach Kaye Lopez; Run Talk: “Catch Me if You Can” by Coach Ige Lopez; and For Newbies Talk: “Tips for the first-time IM70.3 Cebu Triathletes” by Raymond Racaza. On Day 3, there will be a Sports Science Talk: “Sports Science for The Fast and The Faster” by Dr. Martin Camara, DC; and Nutrition and Hydration discussion by Dr. Haeri Roh-Schmidt, Ph.D.
“From day one to three, we prepared activities and preparation talks from swimming, biking, to running that all athletes will benefit from. We invited esteemed speakers who are experts in their fields to impart their knowledge to our triathletes – preparing even more their minds, bodies, and spirits for this biggest and toughest race,” shares Abe Cipriano, Asia Brewery AVP for Marketing of Non-Alcoholic Beverages. Training for the Cobra Ironman 70.3 Philippines takes months of rigorous conditioning and preparation, and this is why Cobra Energy Drink decided to conduct the Send-Off Expo to further boost the spirit of persistence and endurance to all athletes, pro and novice, and to all fans of this growing sport. For the list of talks and exhibitors LIKE Cobra Philippines on Facebook.